On the surface, the idea of putting a 707 horsepower engine into a Jeep Grand Cherokee is insane. Like the folks who shoehorned the 6.2-liter supercharged HEMI into the truck need to be put in straight jackets and locked up for good. Yes, it’s bonkers. But here’s the thing – it’s actually really good. Perhaps too good. Let me explain. In the other Hellcat-powered FCA products, power is sent to the rear wheels only. In the Trackhawk, it get Jeep’s 4-wheel drive system. 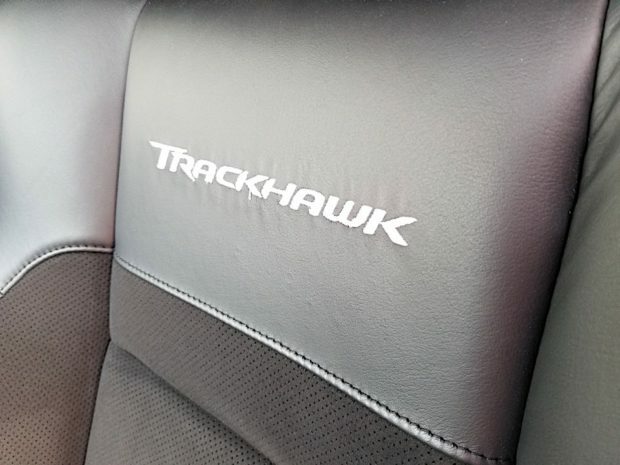 That addition means the Trackhawk has excellent traction, even in the wet, and tames the power in a way that you wouldn’t expect from a mainstream brand. Keep in mind that this is still a Grand Cherokee, which means it’s been around for a while. 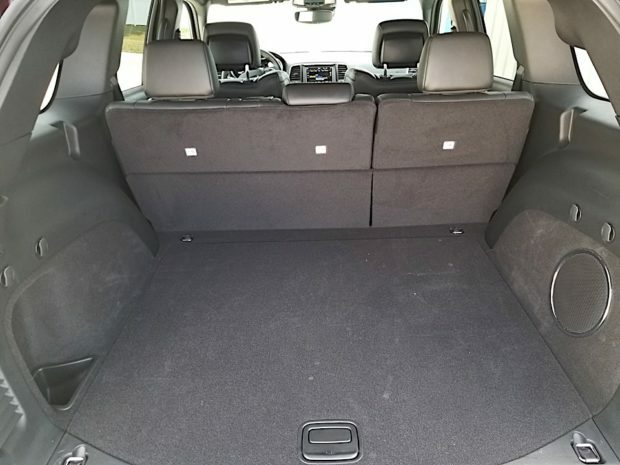 The interior is familiar and comfortable, though it’s not as spacious as a Durango. It’s a vehicle that you can live with everyday inside. Our test unit didn’t have the upgraded interior leather package, but I’ve been in ones with it, and it’s a nice place to be. 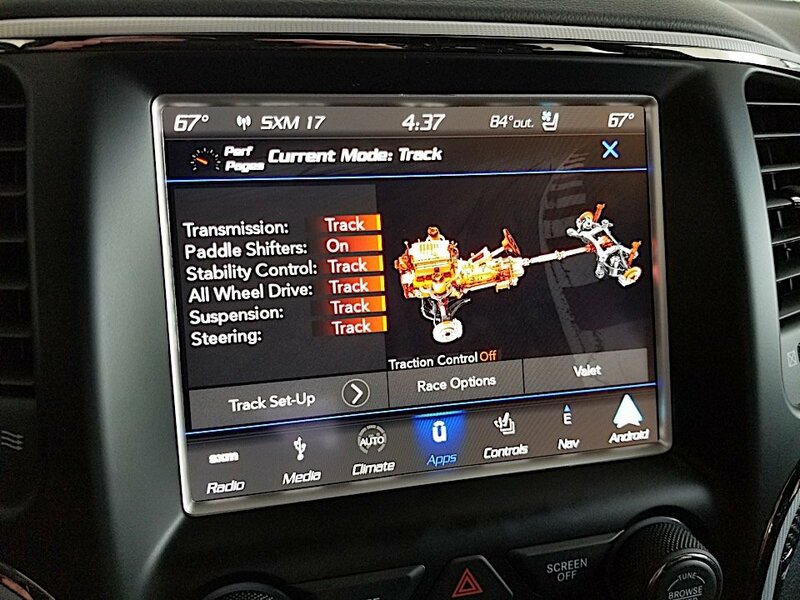 The infotainment system is the latest version of Uconnect, with Track Apps because it’s a Trackhawk. For a Jeep that’ll do 180 mph, it’s surprisingly civil. 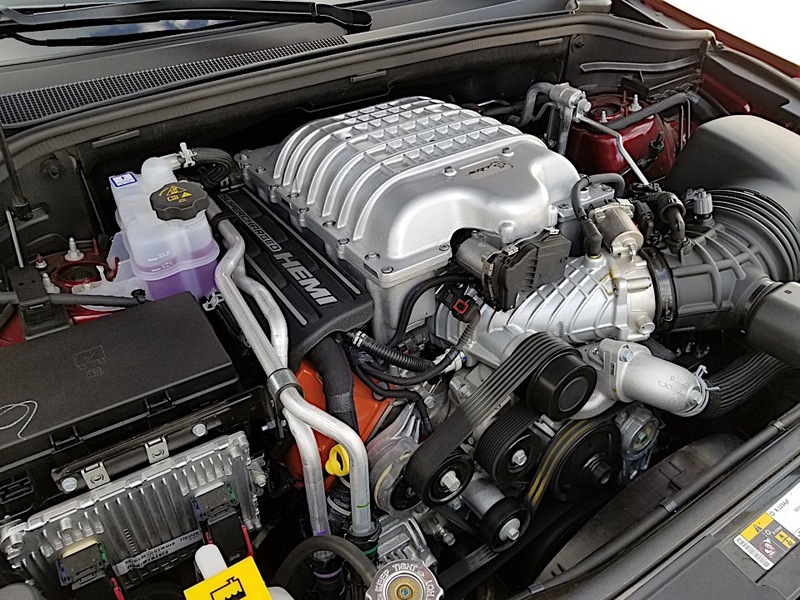 Bumbling around town, you can hear the exhaust note or the whine of the supercharger, but it’s fainter than that of a Hellcat Charger or Challenger. 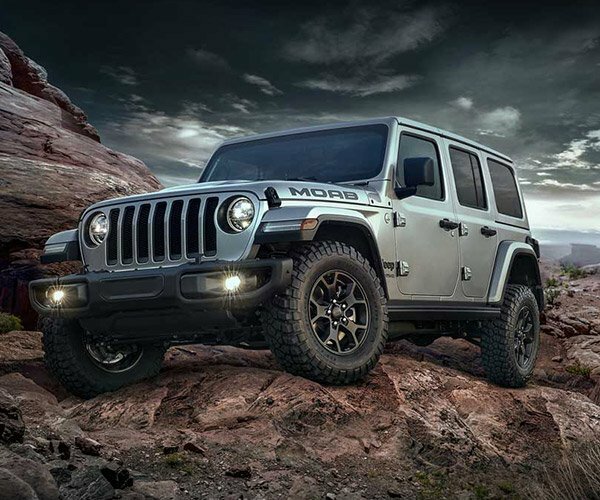 Jeep went to great lengths to ensure that this car, at nearly $100,000, is quiet on the inside. 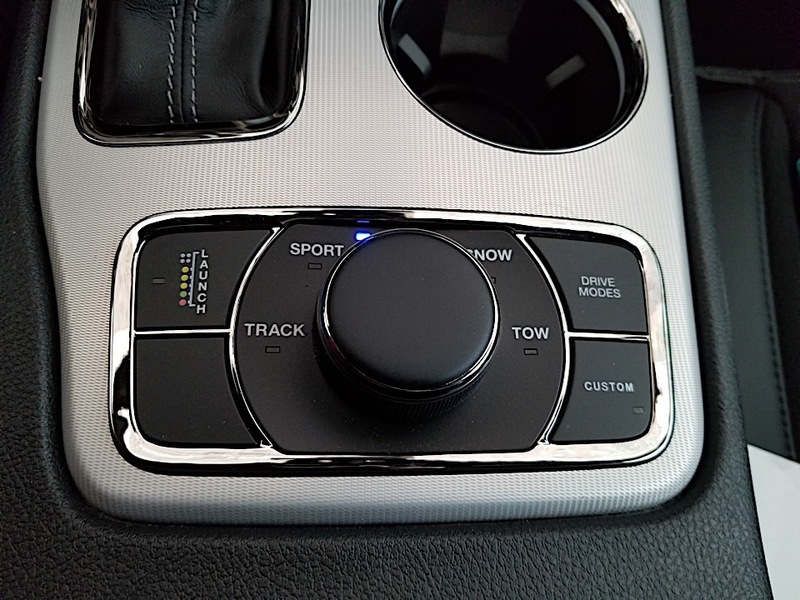 Put your foot down, especially with the vehicle’s Launch Control engaged, and it’ll feel like you’re strapped on to a Saturn V rocket heading for Earth’s orbit. Unlike the Hellcat twins, the Trackhawk doesn’t spin the wheels. It just grips. From a dig, it’s faster to 60 mph than the others. It’s probably faster than anything you’ll run into on the street at any given time. 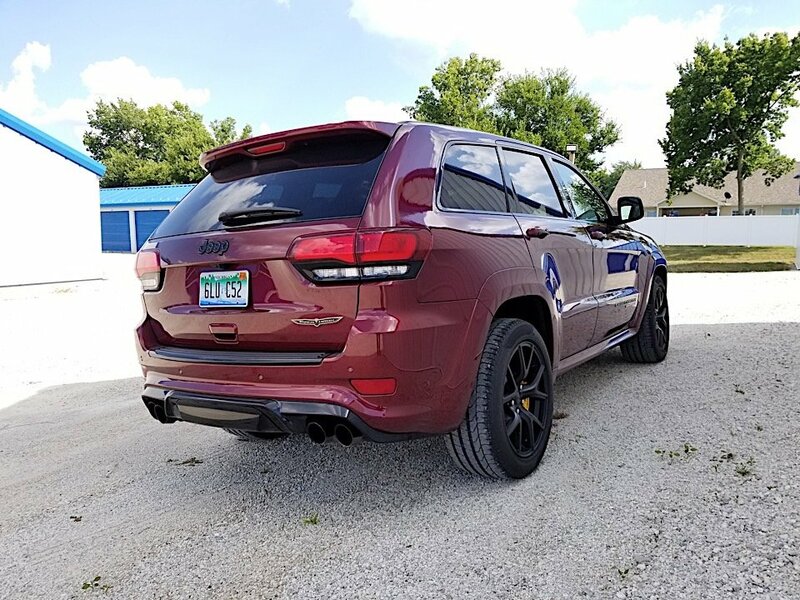 During my time with the Trackhawk, I didn’t take it to a track. Though you could, if you wanted to. 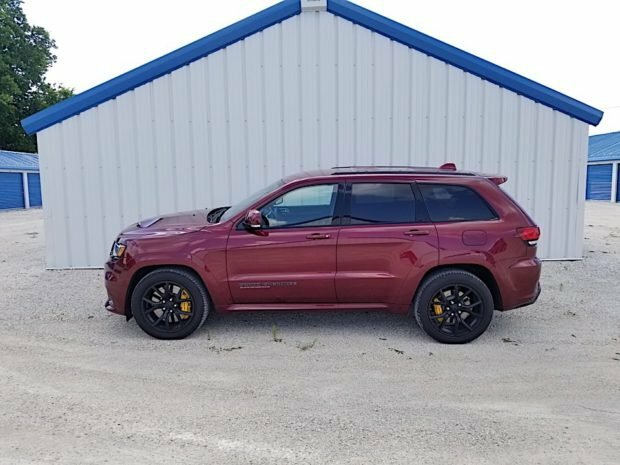 Massive 6-piston Brembo brakes work well on the Trackhawk, but I’d still be a bit nervous about taking a vehicle this heavy on repeated lapping sessions. Though if you swapped out the brake fluid and were careful, it could handle a track day. Living with the Trackhawk every day is the dream of a car enthusiast. It’ll haul everything your family needs, tow a boat, and still be a hoot after you drop the kids off at school. And in theory, it’s all true. But there are some caveats. If you’re getting better than 13 miles-per-gallon you’re doing well. On the highway, it might creep a bit higher, but I’ve been in Hellcats that I can get 26 mpg on the highway with. Permanent all-wheel drive and weight really do hinder fuel economy in this application. Also for nearly $100,000, there are more luxurious cars out there. Both the Germans and the British will both sell you more swanky vehicles for less. While it’s a bit ridiculous to recommend a car that’s $20,000 more expensive to start, the Mercedes-AMG E63 S wagon is just as bonkers as the Jeep, but with the interior appointments that you’d expect from a Mercedes-Benz. An Alfa Romeo Stelvio Quadrifoglio has a lower starting price, and comes with an Italian badge on the bonnet. 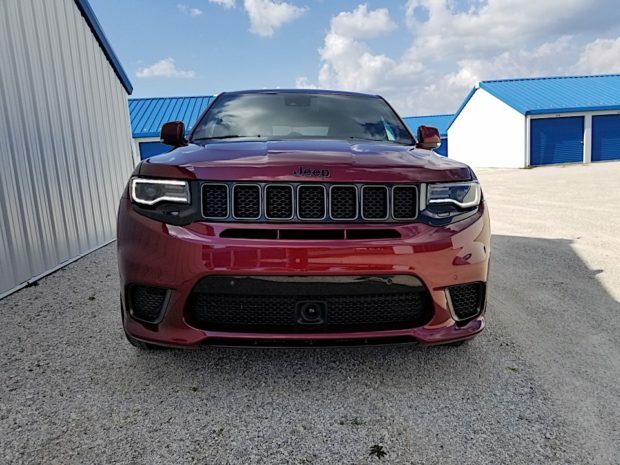 But none of those will have the performance of the Grand Cherokee Trackhawk. It’s not Trail Rated. It won’t ford a lake. It will, however, beat nearly anything at a traffic light – even vehicles twice as expensive. It might be a bit more subdued in feel than its Charger or Challenger cousins, but it’s easier to live with every day, and is faster off the line. I can’t fault anyone for finding that appealing.